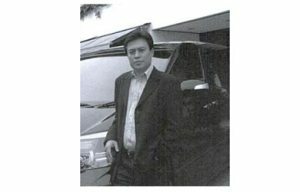 Ronny Lukito, businessman largest bag in Indonesia used to be a child of the family concern. Her parents were not from people. In adolescence Ronny stay in Bandung. He is a figure that is industrious and diligent young man, he was not a graduate from public universities or private universities favorite, she was just a graduate STM (School of Technology and Medium Enterprises). He really wanted to continue his studies in one of the private universities in Bandung to, but wishes it did not become a reality due to hit financial problems. Since the school in STM Ronny accustomed to selling milk with a small plastic wrapped, tied with a rubber band and then he sells to neighbors' houses with his motorcycle. Ronny in Bandung adolescence passed with full of simplicity and hard work are far from life department. Born on January 15, 1962, Ronny was the third of six children. He was the only boy in the family pair Lukman Lukito - Kumiasih. Ronny bloody mixture of Buton, Sumatra and Jakarta that have parents who make a living by way of selling the bags. "I remember at the time my parents had a small shop measuring 2.5 x 14m. The store is named Nam Lung, special selling bags. It was the only store in Bandung, which specialized in selling bags. At that time, most traders open a grocery store selling all kinds of goods. So sparse that only sell one kind of goods like my father, "recalls Ronny. The bags are sold at the shop Ronny's father is the products of other companies and there are also the result of its own stitches. At that time, her parents only had one machine to make bags. While still a teenager actually Ronny did not think to become entrepreneurs. His father had never directed Ronny order to become entrepreneurs. After finishing STM However, he must think realistically in seeing the family economy. He helped his parents to prioritize the sales in the store. Since 1976, when Ronny STM sitting on the bench, his father's store began selling the bags the work itself. The current product brand bag named Butterfly. The name is taken from Chinese-made sewing machine brand they use. Ronny own help buy materials to a particular store or deliver merchandise to their customers. In fact, before going to school, Ronny selling milk. After school, Ronny working as a mechanic at the bike shop. He learned to hear and read what products the customer demand by the sun. He is committed to boost business growth. Initially the total turnover in the Sun $ 300 thousand, while its competitors had millions of dollars. Originally cultivated market is Bandung and its surroundings first. Ronny plunge themselves into the areas to look for a new retailer partners to open up new markets. He diligently around the area. She discard laziness and realized that his future is determined at the moment. He went to other cities to promote and establish marketing networks. Although still in the early stages of starting a business, he was not so mastered the knowledge of the business and marketing so he decided to use the services of a consultant. Ronny many privately learn about knowledge management and also take a financial management course. If there are seminars or courses which he said was nice, Ronny also trying to attend. Read books that are relevant for self-development is also being conducted. After marrying in 1986, he recruited marketing professionals. With persistent struggle and tireless, he knew a market opportunity because he knew exactly outside the bag business include things on the field, he knows what obstacles and twists and turns in the field. Finally ideals Ronny to become the biggest player in the business of bags reached. Starting from the Sun, Ramayana, Mount Agung, Scholastic, and dept. Other major stores selling products such as Eiger Ronny, Export or Bodypack. Bag business practitioners must know that now B & B Inc. Ronny belongs is one of the largest national companies. Do not stop there, now Ronny company also produces other types such as wallets, mobile phone holster, and a variety of other products. One Ronny good habits is his willingness to learn and develop themselves. He did not feel embarrassed or ashamed to ask if indeed he did not know. In this way he can thrive and be successful until now.